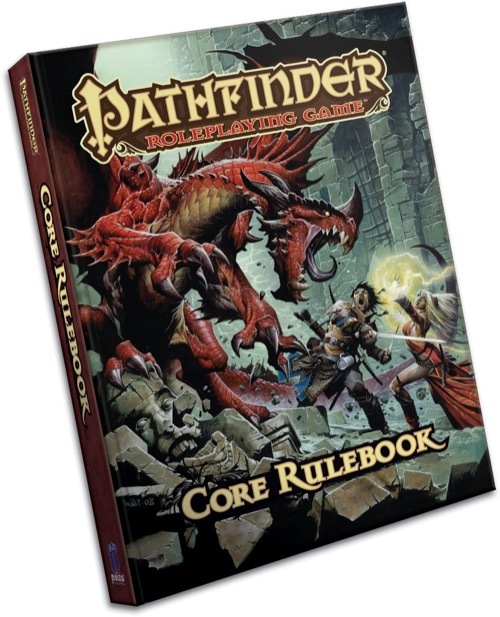 Today i ordered Pathfinder core rulebook. I can’t wait! But alas we have a postal strike here in Sunny Scotland. I have loads of free RPG stuff to work through! I agree that having a book in your hand is definitely something all free authors should aspire to. Get the book out as a PDF for free, get some recognition and feedback (even a review) and then create a print copy on Lulu for those who want to take it to their table without the hassle of printing it. For Icar, the biggest feedback I got from Gen Con was that they wanted a print version. With a print version, there was little they could do to not play it. I think this is true of many free RPGs. I’m a huge fan of free RPG material. I have a self-printed version of Big hearts in a big country sitting in front of me now. I would love to be able to buy a colour softcover, even if i only play it once. I don’t have the “fancy full colour, duplex, laser, mega printer of +5 quality” Therefore the effort yourself and other Authors go to is somewhat wasted. Its a bit of an injustice when a beautifully rendered masterpiece such as icar gets spat out of my college printer when the librarian isn’t looking. Its also a right royal pain trying to lookup rules, quotes etc in a printed pdf. But they are free, excellent quality and often very innovative due to no profit margin constraints. So don’t take my ramblings as complaint. Its just a simple longing to make a nearly perfect thing a little more perfect. Thanks for the kind words. I’m glad my review was helpful. I’d be interested in hearing your thoughts on the game after you’ve taken it for a spin. My real name is Gordon, I came back to RPGs in the late 2000's, this blog is for my musings and notes and any other RPG related detritus.